Thanks to everyone who turned out for the rounders match on 11 June – particularly to those bold players of the game. It’s probably fair to say a good time was had by all, even the losers. Special thanks to our referee who managed to keep some fairly unruly teams in line! 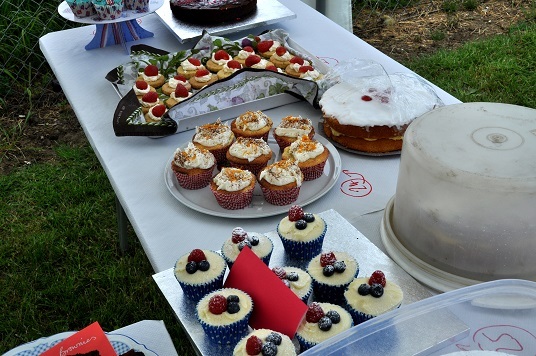 Burgers, cream teas and cakes were delicious and went well, and we raised a modest amount of money which will be put towards ongoing refurbishment and decorating plans. Our April pudding night was a delicious experience and a very enjoyable evening. Thanks to everyone who came and joined in, for all the puddings and for the contribution to the decorating costs. The hall will be redecorated in the first two weeks of the summer holidays, so should be looking lovely quite soon! Our last big fundraiser of 2016 was the Autumn Quiz on Saturday 1 October. Seventeen teams took part in a very enjoyable quiz with 1970s themed snacks - think vol-au-vents, cheese and pineapple on sticks, and some variations on the theme including Black Forest gateau fairy cakes and Angel Delight shots - and an interval tabletop quiz with stills from famous 1970s films. 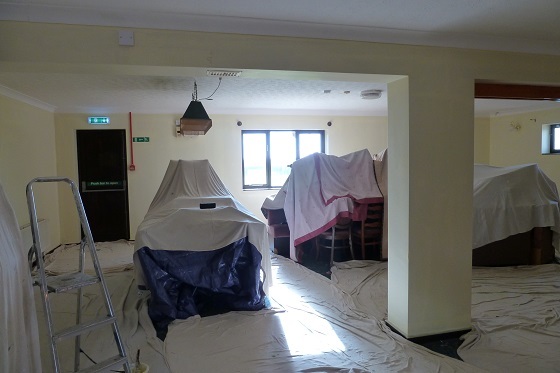 Over £500 was raised towards the general hall fund which is currently saving towards redecoration inside and out. The outside bit has already been done, and the gutters have been cleared and repaired. Thanks especially to Tim Hall our quizmaster, but also to all those who helped in any way, from mammoth cooking sessions to helping to clear up, and to all the quizzers who came and joined in. In spite of less than lovely weather our second Field Day and Rounders Match, following up last year's event in honour on Don Graham, was a great success. Seven teams battled it out for the winners' medals and t-shirts, a close-fought final being won by The Friends of Carleton Rode School. Between games there was a chance to enjoy burgers and sausages, a cream tea and cakes, ice-creams, drinks from the bar, and for children to play on the bouncy castle. After the games there were sack and egg-and-spoon races for some of those too young to face the ruthless competitive spirit of our rounders teams. Thanks to everyone involved in the preparation for this and for all who baked, served and generally worked so hard to make the afternoon work. 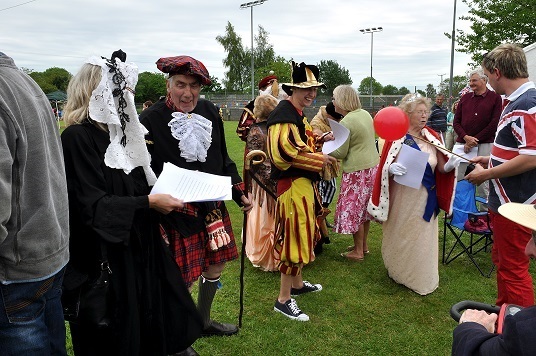 And to South Norfolk Council for their contribution to this special Queen's 90th birthday Field Day. Photos on the Gallery page. 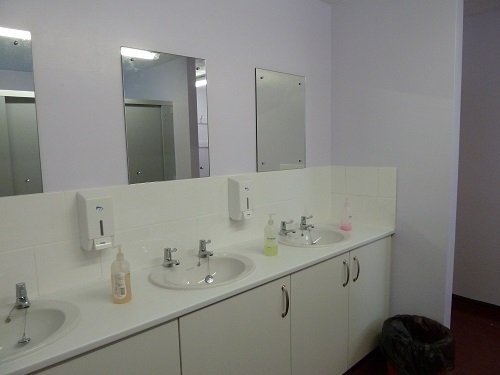 Here's a picture of the refurbished toilets! 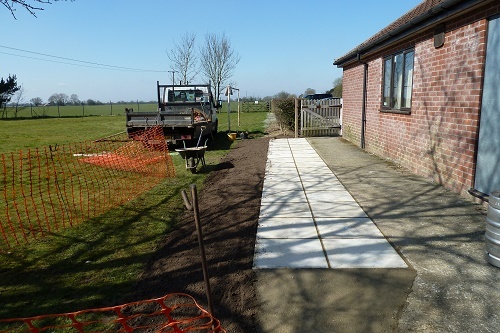 AND WE ALSO NEED TO THANK SOUTH NORFOLK COUNCIL FOR THEIR CONTRIBUTION VIA THE NEIGHBOURHOOD FUND! In 1977 the village of Carleton Rode was holding an outdoor celebration of the Queen’s Silver Jubilee when it rained heavily. The festivities decamped to a local barn, but it was then that a decision was taken to build a village hall. 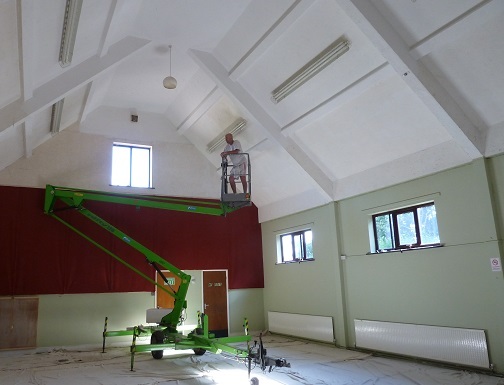 After a tremendous fundraising effort and with a grant from the Local Authority the hall was inaugurated in 1982 and named Carleton Rode Jubilee Hall. Since then it has been at the heart of village life. A very small part of The Great Cake-Baking Competition! The hall is used by Country Kittens baby and toddler group and Carleton Rode playgroup. There is a thriving short mat bowling group, regular yoga sessions and currently Swing Jive sessions are running on Sunday afternoons. The large main hall is marked out for badminton and is used by several groups of players. We have a stage and a green room, and a well-equipped kitchen. 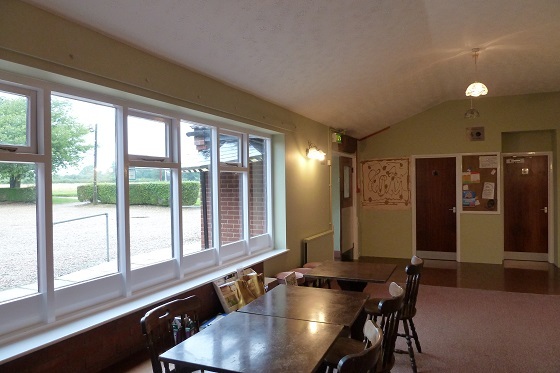 The hall is the venue for meetings of Carleton Rode Parish Council, the Village Hall Committee and numerous other local organisations such as the History Group, the Ploughing Association and the local amateur dramatic group, the Jubilee Players, whose pantomime in the New Year is an annual highlight. The Ploughing Association hold their annual dinner at the hall, as do the local British Legion group. Church events at the hall include the Harvest Supper, the annual quiz and the annual fête. It is available for private hire and has hosted many birthday parties, wedding receptions and other celebratory occasions. Part of the hall is let out to the Carleton Rode Social Club, which hosts a variety of events throughout the year and works closely with the Hall Committee in fundraising and running the hall. Behind the hall is a large playing field with a children’s play area that has been recently upgraded with new equipment added in and the older equipment revamped. There is also a large grassed area with football goals and a tennis court. The tennis court is usable, but is soon to be the focus of a fundraising drive to resurface it and – it is hoped – to provide a multi-use games area. The Hall Committee also hold their own fundraising events. NOTE THAT GOOGLE SHOWS THE VILLAGE HALL AT THE MILL HOUSE - IT IS ACTUALLY A FEW HUNDRED YARDS FURTHER INTO THE VILLAGE AND ON THE OTHER SIDE OF THE ROAD!